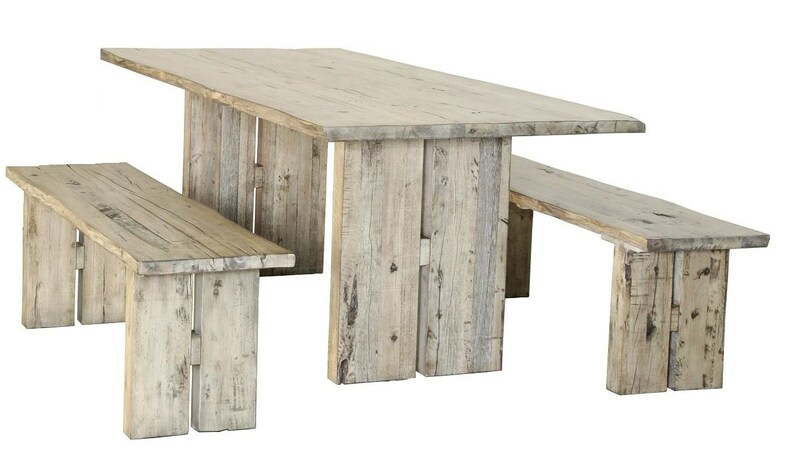 Crafted from solid mahogany, mango, and mindi reclaimed woods, this dining set makes for a warm and welcoming dining space that's full of character. The table and benches feature clean lines for a contemporary silhouette that's relaxed and stylish. Characterized by unique nicks, knots, and discolorations, this dining set creates a stunning focal point for any occasion. The Renewal 3 Piece Dining Package by Napa Furniture Designs at HomeWorld Furniture in the Hawaii, Oahu, Hilo, Kona, Maui area. Product availability may vary. Contact us for the most current availability on this product.